Siquijor is a provincial island located in the Central Visayas region of the Philippines. Its capital is also called Siquijor, a municipality. The province is the third smallest in the archipelago, both in land area and in population. Neighboring provinces include Cebu, Negros, and Bohol. The island is widely known for its white-sand beaches and virgin underwater sanctuaries. In the local scene, though, it is much more famous for supposedly being a hub for practicing witchcraft and other activities involving the occult. Perhaps this stereotype is because of the annual healing festival held every Black Saturday. Upon discovery of the Spaniards in the year 1565, the island was coined “Isla del Fuego” or “Island of Fire.” Apparently, they saw that the whole island gave off an eerie glow. Upon closer analysis, it was learned that the seemingly fiery glow actually came from the abundance of fire flies that nested in the island. Also according to legends of the island, Siquijor was an island that rose from the depths of the sea. 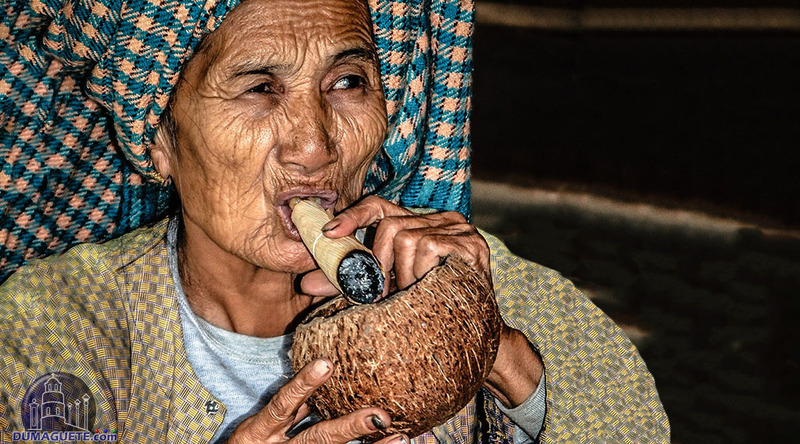 Modern studies even yielded giant shell casings under the land of Siquijor, further supporting the premises and following details of the mentioned folk tale. 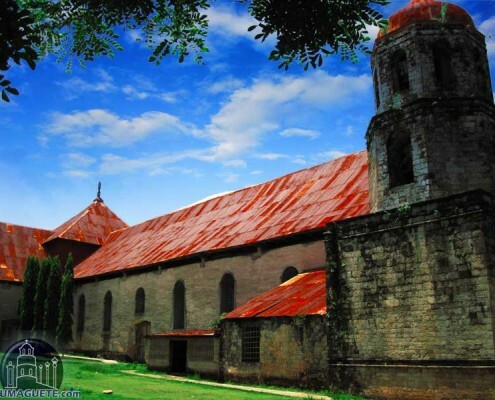 Under the governance of the clergy, Siquijor was founded as the first municipality to be established in the island. In the beginning, the parish of Siquijor was under the jurisdiction of the Cebu diocese. However, its legal jurisdiction still lay under Bohol. In the years 1854 to 1892, Siquijor was established part of the Negros Oriental province, which then became a sub-province in the 1900s. As the Spanish occupation came to an end, an American governor took over the island for 16 years that followed. When the Japanese came, the island even became a detachment zone occupied by Japanese soldiers. A few years later the colonization era in the Philippines finally came to a close, and Siqujor then became an independent province, also by virtue of RA 6398. The original capital which was the municipality of Larena, now became the municipality of Siquijor. However, Larena remains as one of the most important municipalities in the whole island, because of the fact that it holds one of the three seaports in the island where commercial trade is performed. Since Siquijor is a secluded island, the locals highly depend on products brought to them by neighboring provinces such as Bohol, Cebu, and even other provinces of Northern Mindanao. 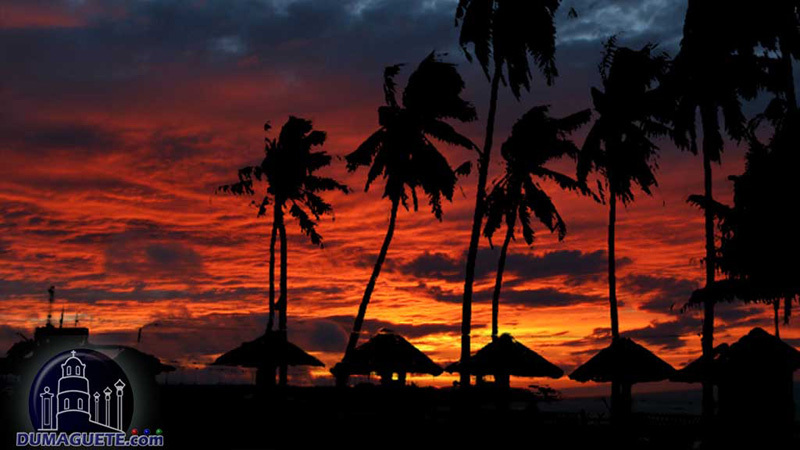 There is always more to know of the Siquijor History, and even more to be unfolded! The natives of the Siquijor Island are called the Siquijodnon. Siquijor is known by many names but Isla de Fuego (Island of Fire), Island of Witches, The Mystic Island and Lalawigan sa Siquijor stands among the rest. 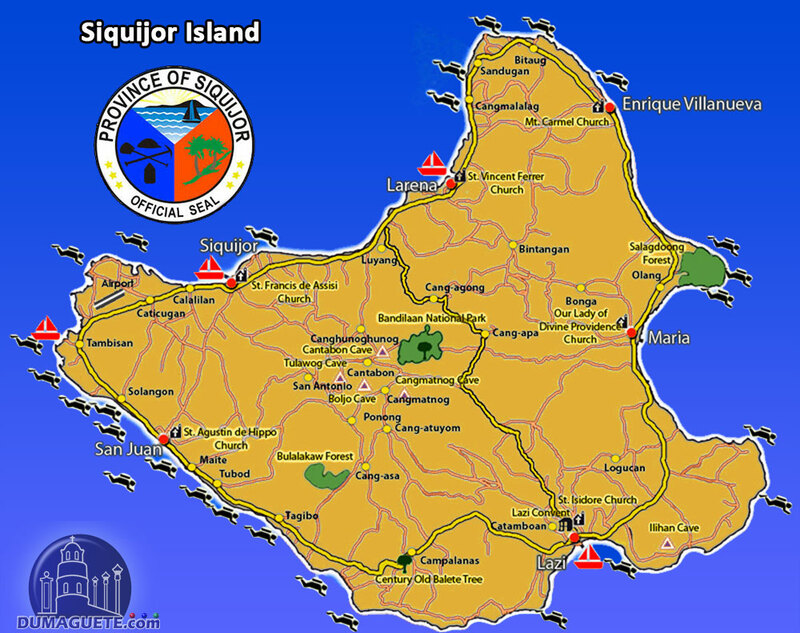 Siquijor has six municipalities, namely: Enrique Villanueva, Larena, Lazi, Maria, San Juan and Siquijor. Each municipality has their own mystifying beauty and history to show and unfold to each and every guest and visitor. Cebuano is the most prevalent language spoken in the island, but as with many of the provinces in the Philippines, English has been widely accepted as a second language and is used to communicate with those who do not speak Cebuano or Bisaya. 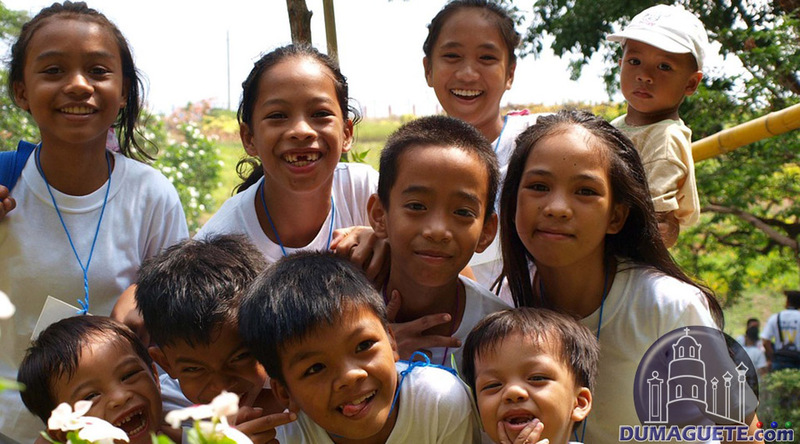 Tagalog is very rarely spoken since very few of the locals have good command of Tagalog. Some Spanish words are still understood and used by the locals to this day, owing to the very long time spent by the island under the colonization, control, and jurisdiction of the expansionist Spaniards. The island is mostly virgin to commercialization, and so the tourist spots, although called as such, never actually get too crowded, too noisy, and too messy. 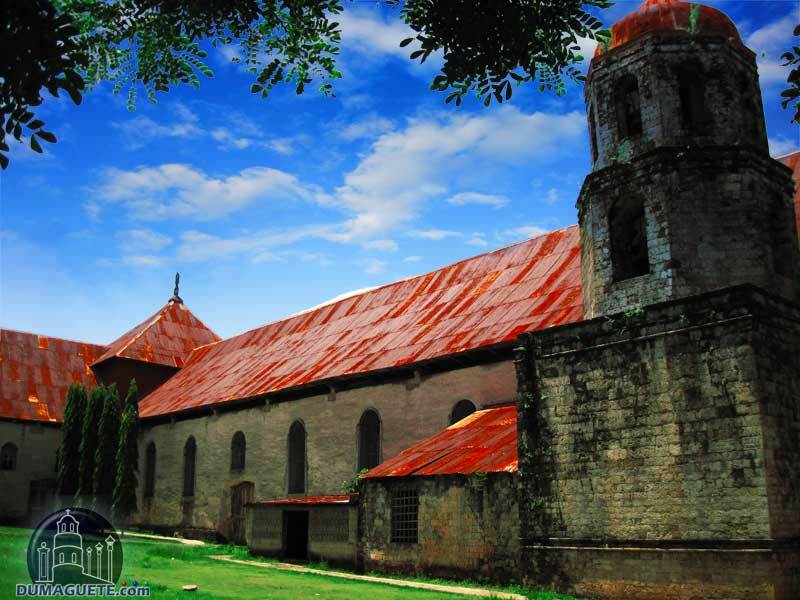 Since the locals have a long tradition of preserving whatever they can, most of the scenic views in Siquijor are old churches and convents, such as the Saint Isidore Labradore Church and Convent in Lazi. 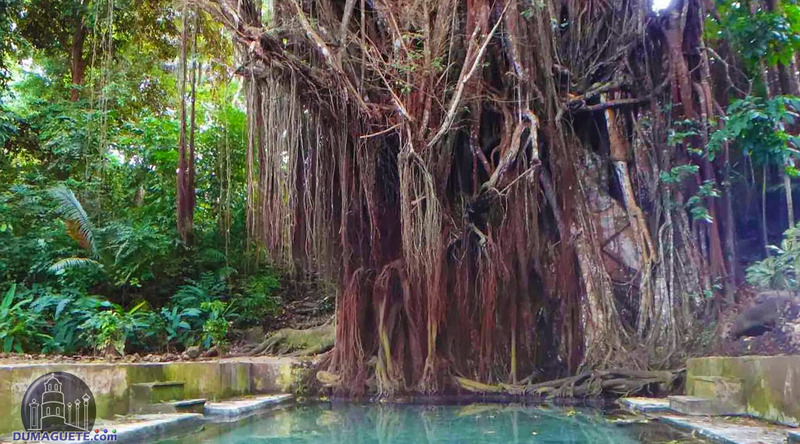 The island itself moves in a relatively slower pace – tranquil and peaceful, so it is popular with guests who wish to enjoy time in the quiet, to go soul-searching or just enjoying nature of the old balete tree in its purest and most undisturbed form. Siquijor is known as a tourist destination in the Philippines due to the mystifying belief the whole island shows to both locals and visitors. The enchanting feeling of trees speaking through the wind, the ocean roaring by the shores and the birds singing as though they were chatting as the sun rise and set beautifully in the sky. Only the locals and guest who have been in Siquijor can say the feeling of enchantment and the new meaning of mythical adventure. The coastline of Siquijor is surrounded by beautiful white sand beaches that caress the clear blue sea. Sanctuaries for diving and snorkeling are found throughout the island. Other activities such as caving, hiking, and riding are available as well. Siquijor may be the third smallest island here in the Philippines, however, it still has a big heart to share for all its visitors from around the world. Hotels and Resorts in Siquijor will not be a problem since they offer more than 40 different accommodations! Of course aside from the vintage churches and structures, the beaches constitute a huge chunk of the island’s allure. There are a lot of beach resorts that offer various sights and ways to enjoy the beaches, such as snorkeling, diving, or even spelunking activities. This is the other side of the otherwise tranquil island – the availability of extreme activities such as cliff diving! The locals are very adept at these activities, and they are more than willing to help and guide tourists who wish to embark on such intense activities. And of course, one cannot discount the appeal of the seemingly enchanted island. 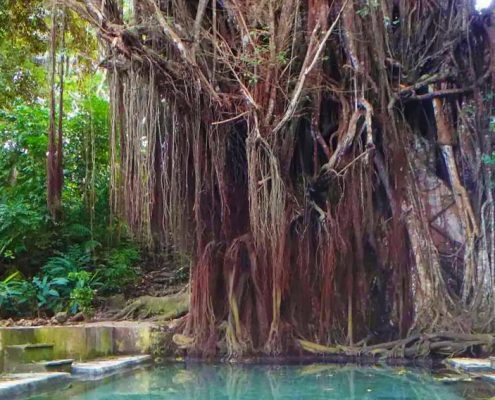 There are very old balete tree that stand near hidden springs, and most of the tourist-bloggers actually go to Siquijor for these, since these are the places that are responsible for the stereotype of enchantment in the island of Siquijor. These places also provide scenic backgrounds for creative shoots such as prenuptial events and the like. The annual festivals also attract a lot of guests, since Siquijor hosts lots of festivals such as the Healing Festival, the Canoan Festival in Larena, the Saging Festival, and the Bugwas Festival celebrated in San Juan, among many others. With more than 50 schools (public, private, secondary and high school) Siquijor has a literacy rate of 92.5% and is one of the highest in the Philippines. Locals in the island speaks Cebuano in their everyday conversation. English and Filipino language are understood and used in response to one who speaks so. Spanish words and broken Spanish called Chavacano or Chabacano can be understood as well. 95% of the residence in the island of Siquijor are Catholics and belong to the Catholic Church, while the rest of the 5% are divided into Christian communities and other religions.